Our UPVC French doors offer a charming, alluring addition to your home or conservatory. The extensive opening allows unrestricted access to your home as well as maximum ventilation and a practical entry into your garden or patio. Our exterior and interior French doors are available in a variety colours, white, rosewood or light oak and come with a choice of designs to suit your requirements, full glass or decorative Georgian Bar, Square Lead or Diamond Lead. Our external and internal double glazed UPVC French doors are supplied and fitted with toughened double glazed 28mm Pilkington K energy saving safety glass to BS 6206. This ensures that the glass will not shatter should an accident occur, yet it is coupled with the practicality of modern UPVC materials which will not rot, warp or require painting. Our double French doors both open, whether you want them to open inwards or outwards with a left or right hand master door the choice is yours, they also come fitted with a set of handles to both doors unlike some DIY French door sets and in a choice of chrome, gold, black or white. Offering a high level of security for you home too they are internally beaded and supplied with a a multipoint hook locking system as standard which means that the UPVC French doors lock, in not one position, but several points. 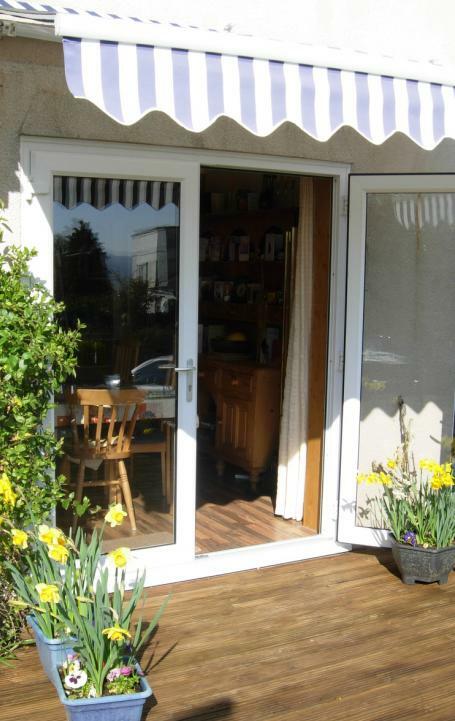 All French doors are available in white, light oak or rosewood.